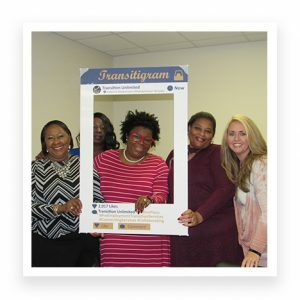 Transition Unlimited is an Alabama pre‐employment transition services (Pre‐ETS) initiative designed to build capacity and connect services to appropriately implement pre‐employment transition services throughout the state. It is a new collaborative project sponsored by the Alabama Department of Rehabilitation Services (ADRS), Division of Vocational Rehabilitation Service, in partnership with the Auburn Transition Leadership Institute (ATLI). ADRS is partnering with ATLI to provide guidance to transition stakeholders and local education agencies while developing action plans for the delivery of Pre‐ETS that best meet the needs of students with disabilities who are eligible or potentially eligible for vocational rehabilitation services. The goal is to build awareness of Pre-ETS throughout Alabama. This initiative is a response to the Workforce Innovation and Opportunity Act (WIOA) of 2014, which mandates Pre-ETS be provided to students with disabilities, allowing those students with an opportunity to gain the skills necessary to compete in today’s workforce. Alabama has set the tone for this mandate and starting in January of 2017, ADRS and ATLI staff members traveled throughout the state working with local multidisciplinary teams as they learned together and collaborated to develop action plans for the delivery of Pre-ETS for over 360 high schools in Alabama. The Transition Unlimited Action Plan Meetings offered specific Pre-ETS planning to each local high school. For each meeting, vocational rehabilitation (VR) counselors served as team leaders as they partnered with up to five other teams members who represented a certain high school. Teams consisted of up to six members who represented an array of transition roles, who were committed to and knowledgeable about improving transition services for students with disabilities, and could make decisions about the delivery of Pre-ETS pro-vided at the local level. This collaborative team effort generated stronger partner-ships among dedicated professionals who represented di-verse transition roles (e.g., vocational rehabilitation counselors, special educators, Pre-ETS specialists, school job coaches, special education coordinators, 504 coordinators, career and technical educators, school administrators). These team members engaged in action plan development by evaluating their current programs and making a plan for improvement and expansion. The action plans developed this year included the five required Pre-ETS: (1) job exploration counseling; (2) work-based learning experiences, which may include in-school or after school opportunities, or experience outside the traditional school setting (including internships), that is provided in an integrated environment to the maximum extent possible; (3) counseling on opportunities for enrollment in comprehensive transition or postsecondary educational programs at institutions of higher education; (4) workplace readiness training to develop social skills and independent living; and (5) instruction in self-advocacy, which may include peer mentoring. The time during each meeting that we [ATLI staff members] looked forward to the most was teams’ networking during the highlights portion of the agenda. This provided teams with a time to share resources, learn from one an-other, and introduce new ideas. The entire agenda provided a big picture view of the state’s implementation of Pre-ETS. A participant’s feedback from one of the thirty Transition Unlimited Action Plan Meetings, described his or her experience as “a short workshop that was packed with valuable information which excluded the fluff (school representative, Tuscaloosa). This is one example of many positive statements provided by participants, recognizing the ongoing need and appreciation for this type of training. Additionally, all teams will be provided ongoing technical assistance throughout the process of this initiative. Overall, Transition Unlimited underscores our commitment to keep a focus on transition services at the local level. For more information about this initiative, visit, auburn.edu/atli and click on Transition Unlimited.